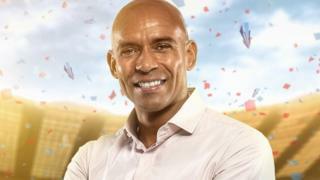 BBC pundit and former England footballer Trevor Sinclair has been arrested on suspicion of drink-driving, common assault and criminal damage. The 44-year-old was arrested after a woman was hit by a car, suffering minor injuries. Lancashire Police said officers responded at 20:45 GMT on Sunday to a disturbance at a home on Victory Boulevard in Lytham. It said a man had already left the property in a car. A force spokesman added: “A short time later, officers found the vehicle which had been involved in a collision with a woman pedestrian on Clifton Drive. She received minor injuries. “The driver, a 44-year-old man, was arrested on suspicion of drink driving, common assault and criminal damage. The London-born winger, who grew up in Manchester, played 12 times for England including four caps in the 2002 World Cup. His clubs included Blackpool, QPR, West Ham, Cardiff and Manchester City.